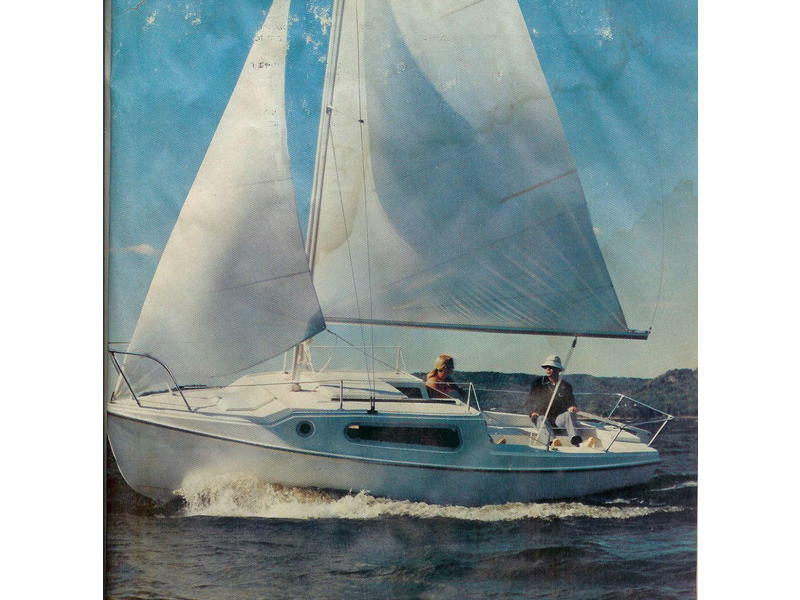 This trailerable fiberglass cabin sloop is a terrific and comfortable sailor. The stability of the design is due to the 430 lb. retractable cast iron keel. The draft with keel up is only 28″. The front “V” berth and quarter berths will sleep four persons. If you really like one another. The sails and rigging are excellent. Foam floatation is built in and full safety lines circle the deck. You won’t be disappointed with this boat.